Crummock Water - beautiful lake in the north-west Lake District. Crummock Water is a beautiful lake in the north-west of the Lake District. 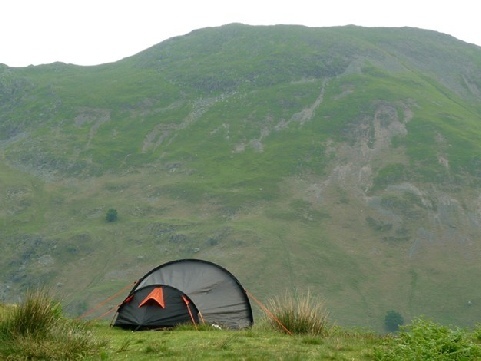 The area around Crummock Water provides a good range of camping and caravan sites as well as a great selection of attractions and things to do. Check out the key information on the right and then explore the Crummock Water camping and caravanning sites listed below. Dalegarth Campsite, Buttermere, Cumbria. 017687 70233. Syke Farm Campsite, Buttermere Village, Buttermere, Cumbria. 017687 70222. In addition to the beauty of the Lake itself, there are also a number of attractions around Crummock Water, including a lakeside walk, and the fells, especially Pillar, High Stile and Red Pike to the west, Grasmoor to the north, and Robinson and Dale Head to the east.